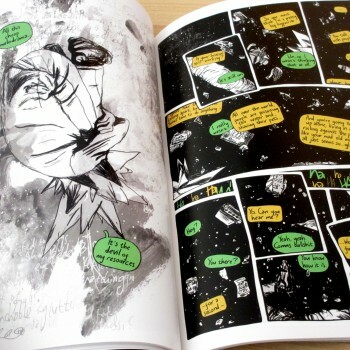 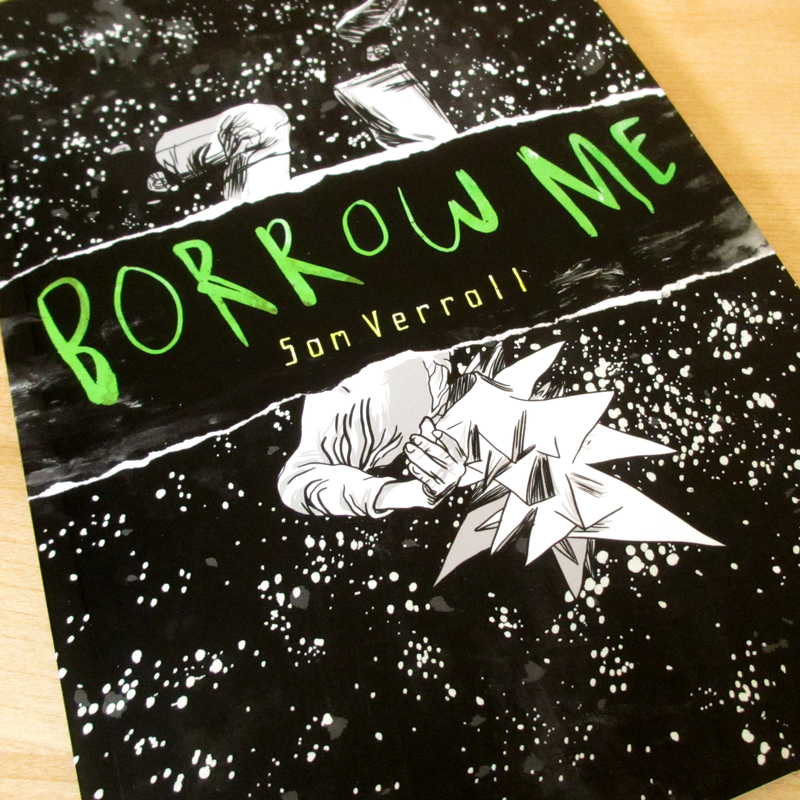 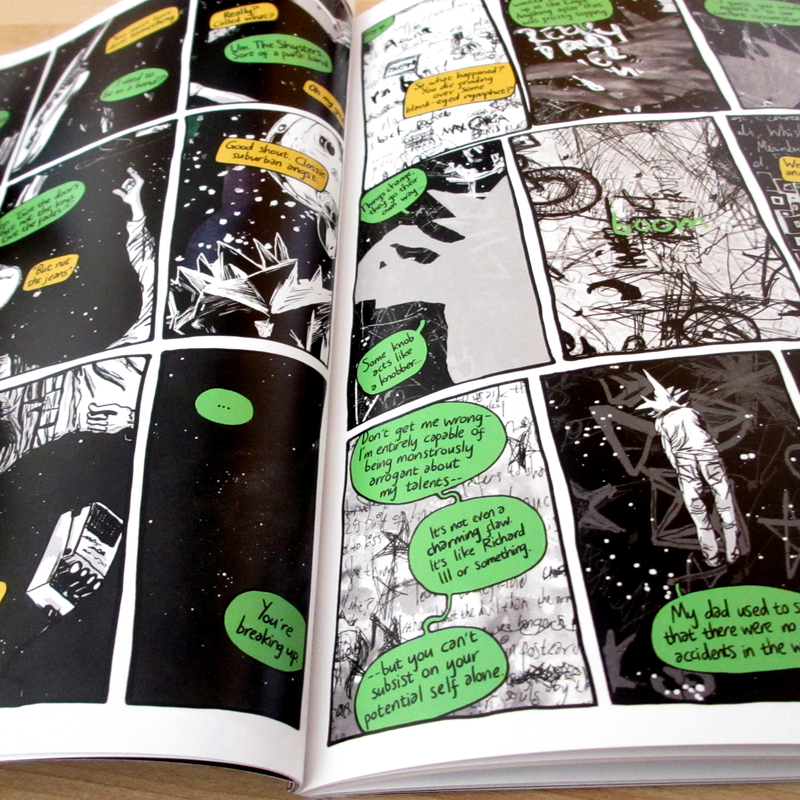 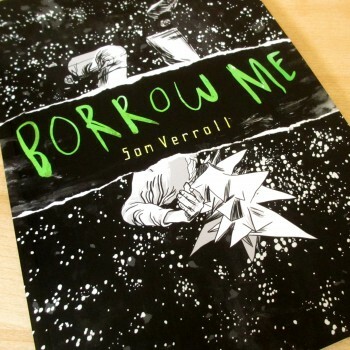 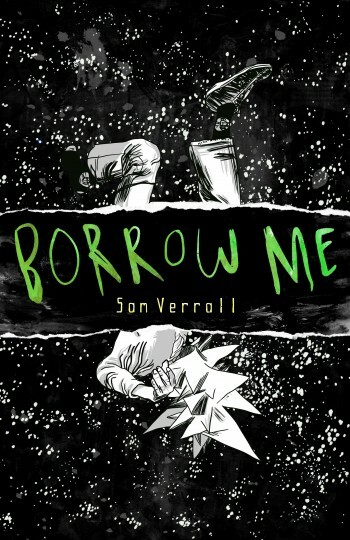 Borrow Me is a 72 page graphic novel, professionally printed and bound with a proper thick cover that will impress all your friends. 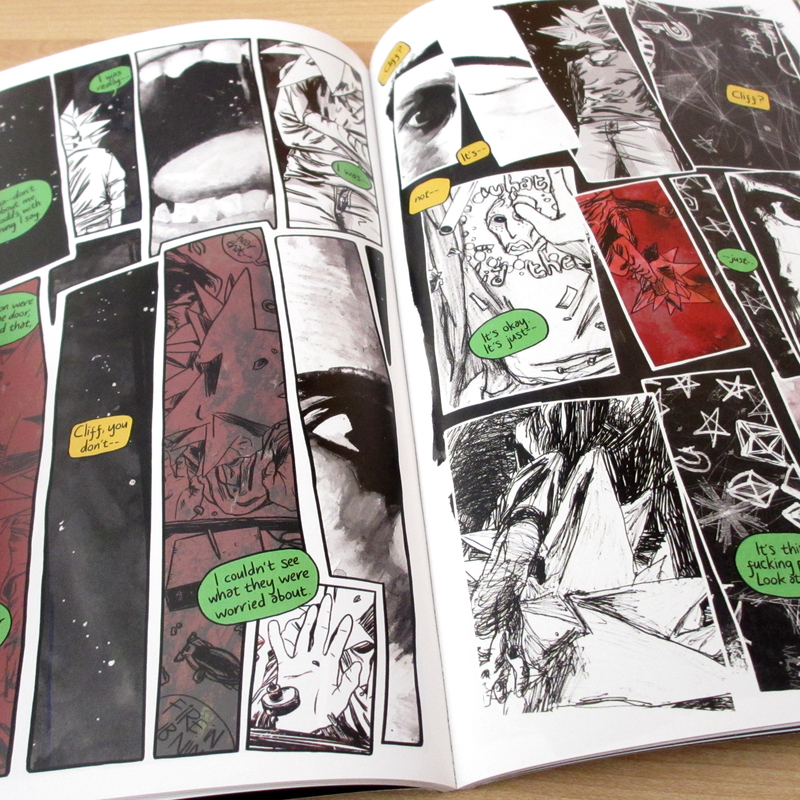 It’s mostly black and white throughout, albeit with some thrilling explosions of colour here and there. It tells the story of Cliff and Amy, two strangers who are stranded in space after an accident on board an interstellar mining station. 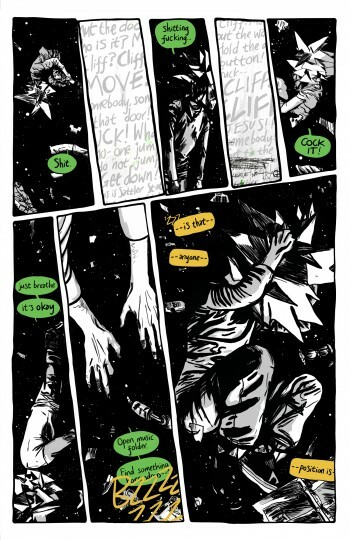 Alone, and trapped inside a perilous debris field, they share knob jokes, precious memories, and intense psychodrama as they await a rescue that may never come.